A friend and I went to the March for Our Lives In Washington. 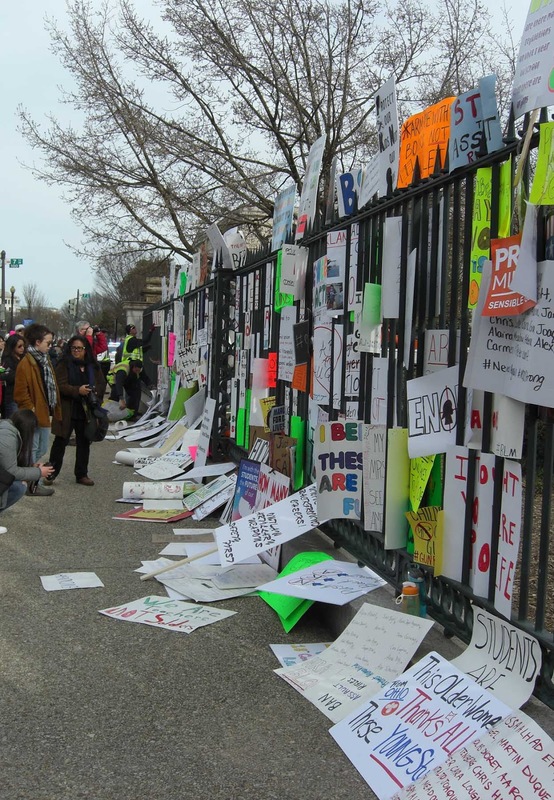 We were two little drops in a sea of of more than 200,000 filling Pennsylvania Avenue. More of a gathering than a march, people of all ages and ethnicities listened politely and respectfully to the consumately articulate teenagers voice their concerns. Homemade signs were plentiful. 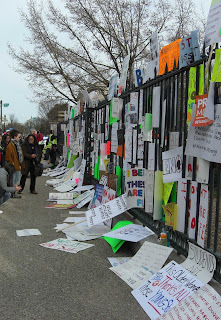 That afternoon, as the crowd dispersed, people began weaving their signs into the fence surrounding the National Gallery's Sculpture Garden. The impromptu display expressed a variety of fears, frustrations and hopes. It ran for the entire block and turned the corner. Eventually, workers came to clean it up. I am grateful to have experienced this ephemeral and heartfelt art gallery.